Happy Memorial Day to all my American Friends, hope your are all enjoying the holiday! Today, I would like to share with you a cake I made for my friend Karen's little boy. William turned 1 this past weekend and I had the honour of making his very first Birthday Cake! Yay, Will! 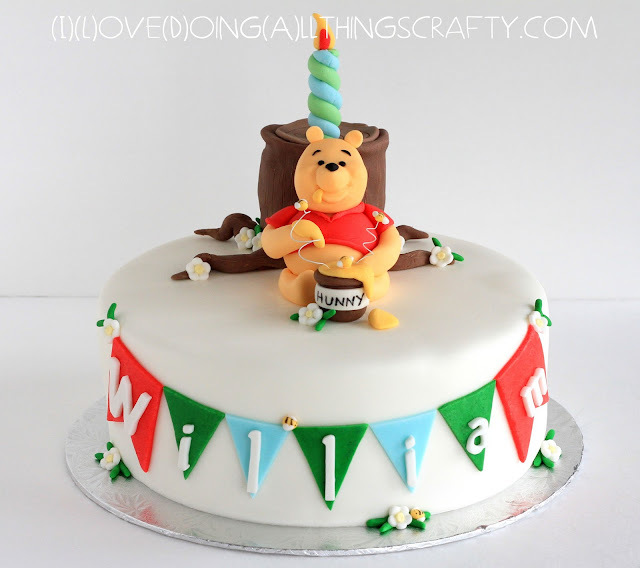 What 1 year old doesn't love Winnie the Pooh?! Isn't he cute??? I love how it all came together. Winnie is all made of fondant and the centre of his body is Rice Krispies treats. Totally edible if Will wanted to take a bite, lol! Here are a few more pics of the cake... close up and from different angles. Aren't those bumble bees just the cutest little things? The inside of the cake had a chocolate flavoured bottom layer and a yellow cake top layer, iced and with a vanilla butter cream. It was finished and decorated with a fondant. Measured 10 inches in diameter and approximately 4 inches high (not including the toppers). Happy Birthday Will, hope you have and amazing year! 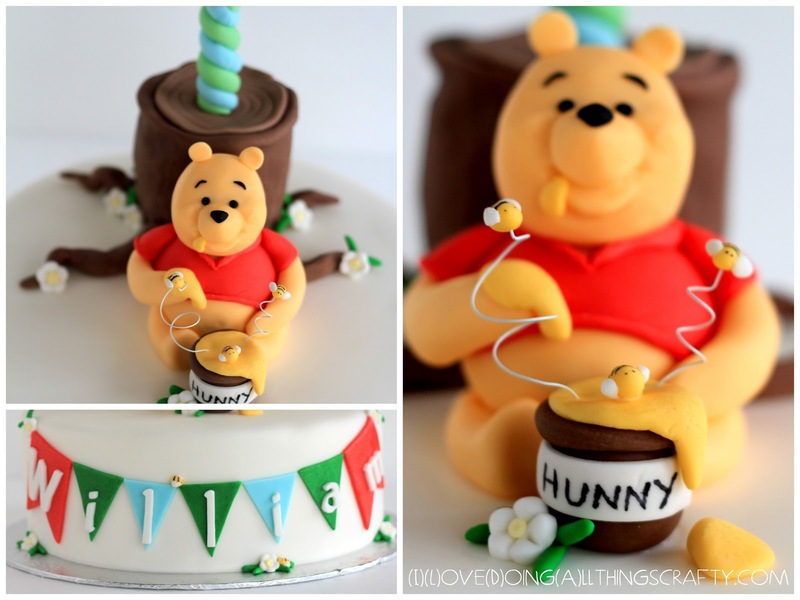 Thanks for coming by, if you are planning on making a Winnie the Pooh cake hopefully I have inspired you! OK, this is just the cutest cake! Awesome job Ilda! I love it. So incredibly cute! My oldest daughter had everything Pooh Bear when she was a baby. Now she's 16, but seeing this lovely cake took me back in time. =0) It looks great! cute cake, great job....luv it. hope you have a wonderful week!